Mor ve Ötesi in the USA!! 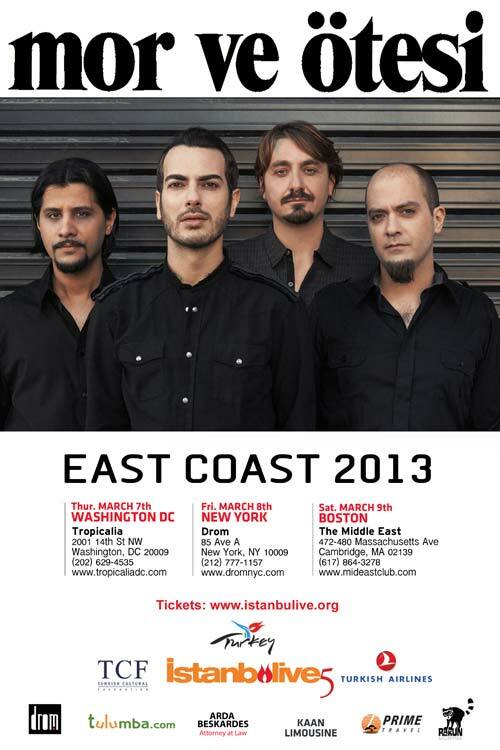 My favourite Turkish band, Mor ve Ötesi will be bringing their brand of brilliant Turkish rock music to the USA in March. 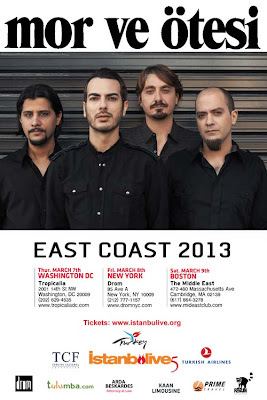 As part of the Istanbulive festival they'll play some gigs in Washington DC, New York and Boston before heading to Austin, Texas and then off to the west coast for shows in San Diego, Los Angeles and San Francisco. The Eurovision logo...a traditional old opening sequence....and Gina and Danny in national dress. Have we fast-forwarded to 18th May - or into the past? The amateurish Swedish stereotype was very quickly smashed by none other than Petra Mede, looking very glam and sounding impressive in French. Well we are in Malmö after all, the venue for the big night in 12 weeks time. But we quickly rewind to 23rd February, and the small matter of choosing another two finalists and the last two qualifiers to Andra Chansen. If we are underwhelmed by this week’s intro, then it’s about 99% to do with the poor quality stream. Watching with mum as usual, she quickly proclaims that it is impossible to watch (and that’s just watching, she hasn’t heard any of the songs yet, tee hee!). Halfway through Army of Lovers’ appearance, she can’t watch any more of it and signs off with a Eurovision-hating tirade. "Rockin’ The Ride" - Army of Lovers. "Must Be Love" - Lucia Pinera. Oh look, it’s "Rolling In The Deep"! Oh, wait, no it’s a song which is, how shall we say, ‘inspired’ by Rolling In The Deep. Or at least the half of the song which I heard, as the SVT stream froze then caused half the song to disappear. No offence to Lucia, but I don’t really think we missed much. Wow, how good does he look? 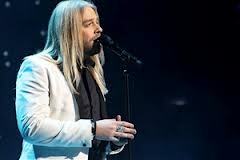 He’s shifted the pounds and had a bit of a makeover since coming 2nd in the final series of Swedish Idol, but one thing that hasn’t changed is that he’s got a great voice. Which is probably better than the song, which quickly becomes very annoying. Can SVT not ‘do a Belarus’ and have him sing Ulrik’s song if it wins Melodifestivalen? There followed a sketch involving Sarah Dawn Finer, which has grabbed a lot of attention in the Swedish tabloids since Saturday night: it is allegedly a rip-off of an American sketch from an awards show. I haven’t seen this sketch so can’t comment, but which said tabloids gleefully went on about at length. Either way, the stream was so bad by this time that nothing was making sense any more. A quick word on Danny and Gina this week: they thankfully changed out of the unflattering opening act costumes, Danny into a nice black suit and Gina in a mock croc-patterned dress. I really loved her make-up this week too. No change in the pixellated stream. Sylvia - yes, people of a certain age will remember her from "Y Viva España" whilst more recently she was back in the public eye thanks to "Så Mycket Bättre" - is wearing a pretty white dress of lace, feathers and frills and there are big letters on stage spelling out her name. You might be surprised to learn that even though it was not among the favourites this week, I enjoyed this laid back bossa nova-styled song. But could she not have had a better-looking dancer???? "Bed On Fire" - Ralf Gyllenhammar. This week is "Hammar time" and now for something completely different. This song, performed by a self-confessed Melodifestivalen sceptic and rock star (he’s the lead singer in a metal combo called Mustasch, who are probably not on many Melodifestivalen fans’ playlist), polarised opinions like no other. On first hearing, and battered by the continuing dire stream, I couldn’t decide if it was either awful or outstanding. Fabulous staging though, in a year where I’ve otherwise found the stage set underwhelming. News Flash: I think I like this. "BUUUUUUURRRRRNNNNNNNNN!!!!!!" Direkt till Friends!!!! "Jalla Dansa Sawa" - Behrang Miri. "Breaking The Silence" - Terese Fredenwall. Like Elin Petersson last week, Terese was one of the earliest announced contestants this year. Another new name, with a pleasant if unremarkable acoustic number and the wind machine turned down to ‘subtle’ (there hasn’t been much wind machine action this year, has there? 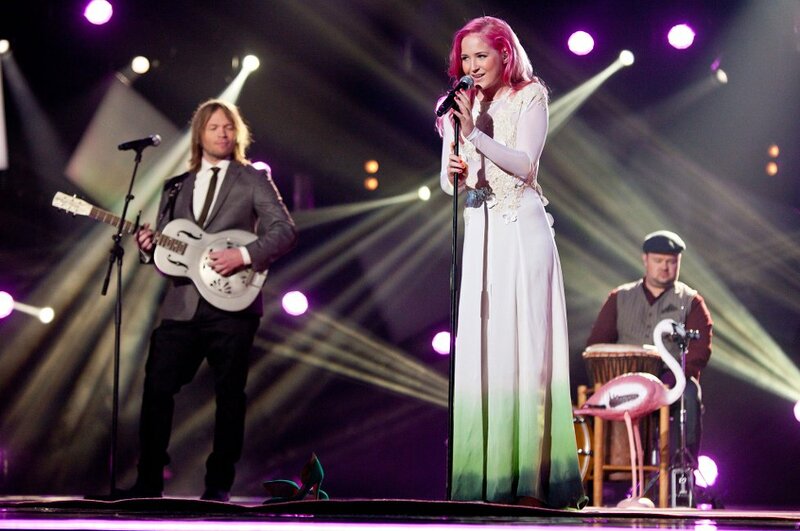 ), she’s also had a little help from none other than Jenny Berggren as her vocal coach. This was better than I expected, but still not great. 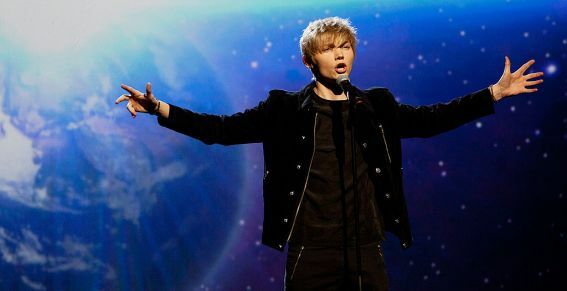 "Tell The World I’m Here" - Ulrik Munther. So, finally, to the last of this year’s 32 contenders, and the one they’re now tipping to represent Sweden this year. He certainly had the best catwalk song of the night (The Ark’s Calleth You Cometh I) and the staging recalled ‘Da Da Dam’ with its global theme. I don’t want to be ageist here, but I’d have been happier if a slightly older singer was singing this. Yes he’s talented and has a good voice, but he still looks too much like a little boy. The stop-start stream meant that I didn’t catch the full song though. Results time, and no surprise as Ulrik and Ralf make the 5 qualifiers, along with Robin, Behrang and Terese. Despite their reputation, there is no place for Army of Lovers which, believe it or not, doesn’t really surprise me. They come 6th, with Sylvia 7th and Lucia 8th. But never mind this week's songs, because finally, here is the moment we’ve been waiting for....the return of the mighty Alcazar - for one night only, firstly performing "Stay The Night" and then they are joined by a special guest - Danny Saucedo! 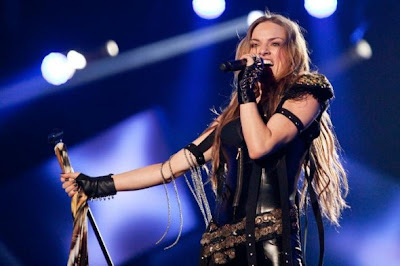 - for "Not A Sinner Nor A Saint" - one of the best Melodifestivalen songs ever. The SVT stream hasn’t improved all night and I take to Twitter to discover that it’s been the same for everyone and it’s not just my internet connection which was rubbish. I’m glad when it’s all over. 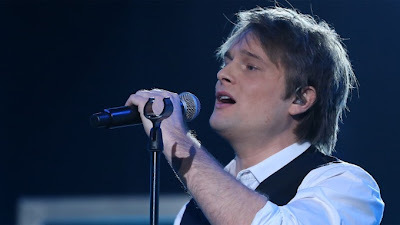 Ulrik and Ralf go to the final, which is no real surprise either, although I thought Behrang could have qualified there. He has to settle for a place in Andra Chansen, along with Robin Stjernberg whom I’m pretty happy for, I just wish he’d had a better song. 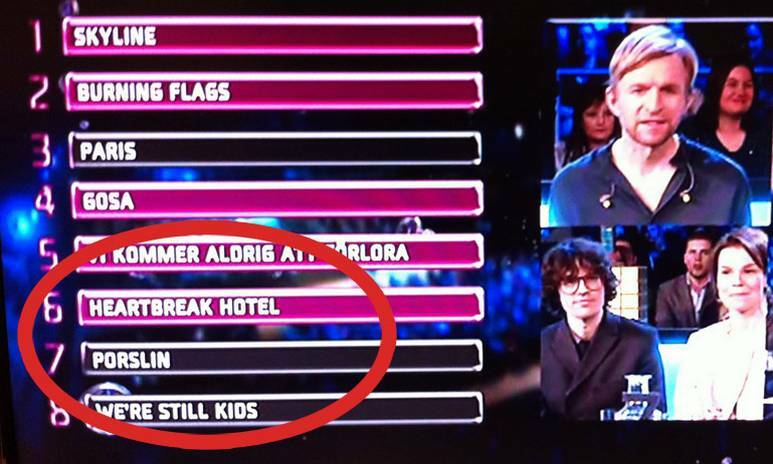 So that’s it; we’ve heard all the songs in Melodifestivalen. How was it for you? Although I love the contest, this year it has been completely underwhelming. Why? For me, the main problem with Melodifestivalen, as with many of the other national finals this year, is the lack of memorable songs. I couldn’t care less about the ‘death of schlager’ - all I care about is discovering some good new songs which I want to listen to over and over again. Not much to ask for, is it? A new year, so lots of exciting TV to look forward to? Umm...wrong! 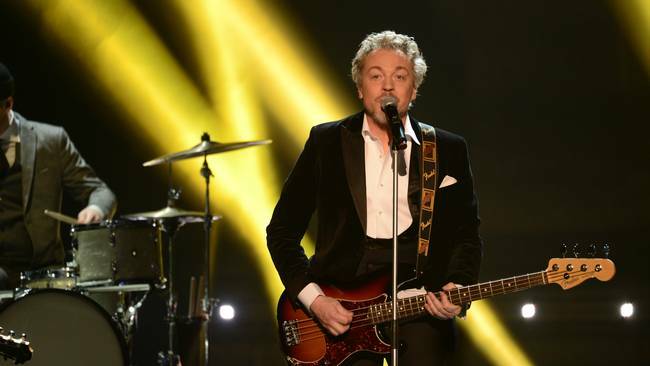 Saturday night is now a TV wasteland, so thank goodness for Eurovision national finals season. And Borgen. We'll get to that later. But let's rewind to the beginning of 2013, which started with an excellent documentary on BBC1 Scotland. 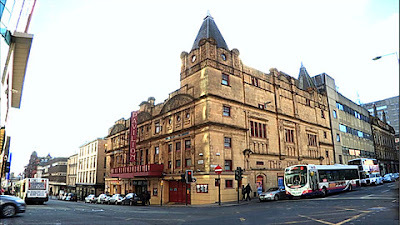 The Glasgow Pavilion is my favourite theatre: it's a theatre for the people rather than just for the 'elite'. "PAVILION OF DREAMS" went behind the scenes of the 2012 annual panto, The Wizard of Never Woz, which I didn't go to see, purely due to my aversion to the Wizard of Oz (!). The 'Pav' as we at EuropeCrazy HQ like to call it, was also the original home of the 'Mrs Brown' comedies which is now a massive TV hit. 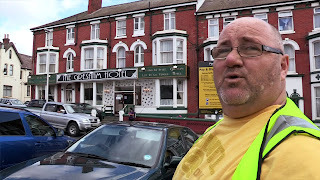 Another documentary which we enjoyed was "SUMMER IN BLACKPOOL" (BBC1) which took a frank look at how various Blackpool businesses coped during our wettest summer ever. 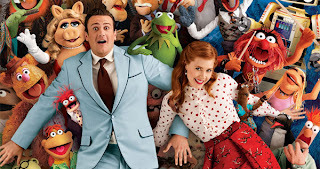 Haven’t really watched too many movies in the last couple of months but "THE MUPPETS" (Sky Movies) was on TV over Christmas so I decided to check it out. Being a fan of the original Muppet Show from back in the 70s, I was expecting disappointment. But we were very happy to be proved very wrong. A cracking soundtrack from Bret McKenzie (including the Oscar-winning 'Man or Muppet') combined with a very witty script instantly brought the much-loved gang back to life. A feelgood treat. And of course, a sequel is on the way. In the past I have criticised my local commercial TV channel, STV, for its lack of imagination in local programming, but I’ll hold off on the criticism for a moment to welcome back "SCOTTISH PASSPORT" which is probably the only travel show on mainstream TV at the moment. There is always a good mix of destinations on the programme....but it’s funny how the ‘celebs’ get to go to the glamorous foreign destinations whilst the ‘viewers’ don’t seem to get further than the UK! At a time when xenophobia is on the increase, "MARRIED IN BRITAIN" (BBC2) was a refreshingly positive look at immigrant life in the UK and as the title suggests, focusing on the wedding plans of those who originated from Brazil, Poland and Romania. Can we have some more documentaries like this, looking at British life from a more positive angle? I’d like to see a series following the lives of the "new" immigrants. and if that's the case, then "THE HOTEL" (Channel 4) is already the daddy! The most recent series, just ended, made for compelling viewing as a real-life drama unfolded before our eyes. 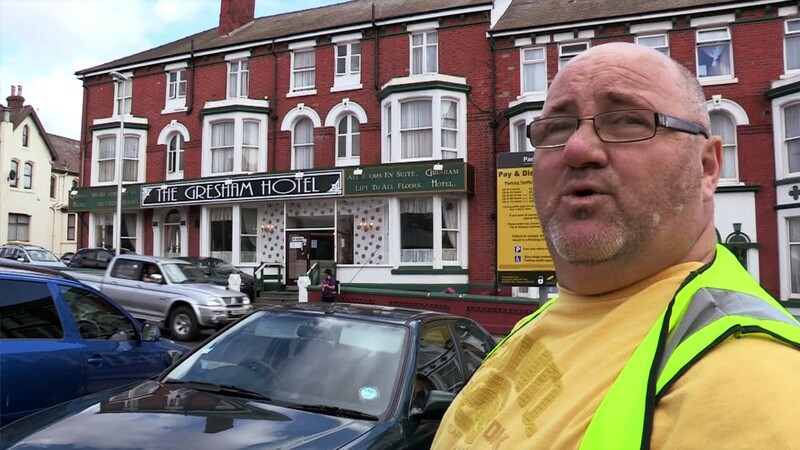 The naive, shambolic (and yet likeable) real-life Basil Fawlty - manager/owner Mark Jenkins - devised more bizarre scenarios by the week (sausage apartheid/Indian night) to try to tempt customers into his hotel, but it was all in vain as he headed for financial ruin. Happily, The Grosvenor found a buyer and it lives to fight another day. That story is now over and I wonder if Channel 4 will bring back the series with another hotel? This one could run and run. A decent ITV drama with not a detective in sight: who'd have thought it? "GREAT NIGHT OUT" was the kind of refreshingly old-fashioned drama series which you used to see on TV in the 80s and 90s. With a very simple premise, that anything that can go wrong will go wrong for the group of thirtysomething lads and their long-suffering girlfriends. Ricky Tomlinson is also in it as the local pub landlord and he's brilliant. All in all it's a comedy drama with many genuine laugh-out-loud moments. A great night in, in other words. 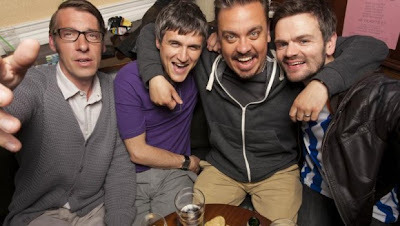 Hope we haven't seen the last of Beggsy, Glyn, Hodge and Daz. Please please please ITV, give us another series!! One of those ITV dramas which I used to love all those years ago was "Coasting" (anyone remember it?) Which is a nice way to lead into the next show - the latest US drama to catch my eye - "THE FOLLOWING" (Sky Atlantic). For one of the lead actors in that series from 23 years ago was none other than James Purefoy, whom we had a major crush on at EuropeCrazy HQ. He's still holding up well, this time as the serial killer who inspires his "following" to kill, and Kevin Bacon as the FBI agent with some unfinished business. It's pretty cliched, gruesome stuff and not to everyone's taste, but for some reason I'm sticking with it. We all love our guilty pleasures, don't we? But as Barbra Streisand once memorably put it, we've got nothing to be guilty of. If you were hooked on Steps Reunion, then multiply it by six and you've got ITV2's "THE BIG REUNION" in which a number of pop acts from the late 90s and beyond - 5ive, 911, B*Witched, The Honeyz, Liberty X and the original Atomic Kitten line-up - get back together. There's drama. Bitching. Tears. Diva strops. I love it. And there are so many unanswered questions, such as: will 5ive minus one equal 4our? And what the hell has Natasha Hamilton done to her face? And finally, keeping the best for last. The long-awaited series 2 of "BORGEN" came to BBC Four in January. And now it's shameful confession time: I haven't finished it yet. I'm currently halfway through the series, having been sidetracked by recent weeks of holiday planning and a massive TV backlog. I will get it finished, promise! 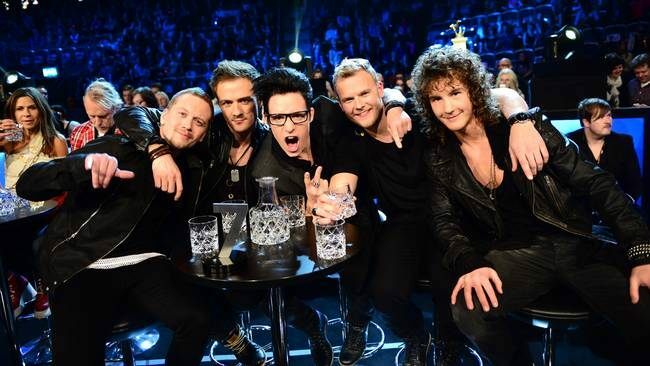 The story so far: Sweden wins Eurovision. Job done, and that takes the heat off for a while and they don't need too bother about winning it again this year. After all, in these days of depression and recession, those times of chasing consecutive wins at ESC are long gone. But is that really any excuse for a disappointing Melodifestivalen season? 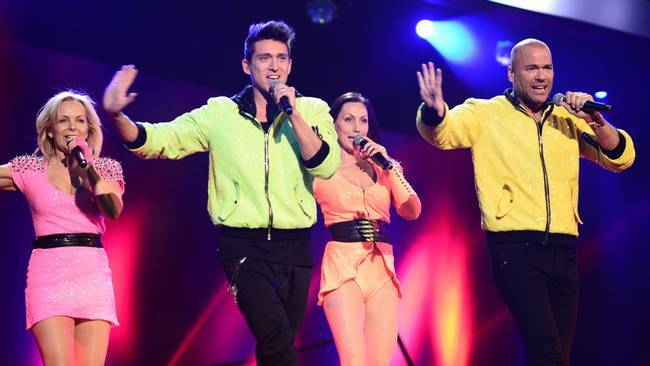 After the horror that was heat 2 - one of the worst ever IMHO - which was deservedly panned by the internet fan community, I was beginning to wonder if I'd ever enjoy Melodifestivalen again. Yet after hearing the one-minute snippets of the songs on Thursday night I was once more filled with hope and actually wondered if this could be the week that Melodifestivalen would get its mojo back. And I managed to convince mum to spend one more Saturday night in SVT-land. As usual, don't expect in-depth analysis, just the comments of two people watching a song contest. But firstly, there's one big question to be answered "Why does Italy hate Sweden?" Gina Dirawi headed off to Rome in search of the answer. Mum: Is there a reason why Italy hates Sweden? I explain to mum that the whole point of this sketch was based on last year's Eurovision voting, where Italy was the only country not to give Sweden any points. Mum: So Italy didn't give you points, get over yourselves! And can we get on with the show? I thought the beginning of this week's show was a little flat, and I've still to be convinced by the Gina Dirawi/Danny Saucedo partnership this year, and we'll get back to that later....let's get to the songs!! 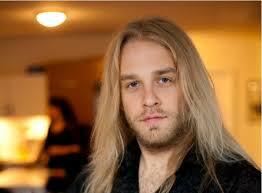 Yes at last, it's the moment I've been waiting for, for a long long time: Eddie Razaz in Melodifestivalen. Eddie took to the catwalk to the sound of Michael Jackson: no surprise there, given his 'Idol' history. Eddie didn't disappoint, even with glittery knees (!). But it was a bit of an unfair draw, placing Eddie in the 3rd heat when we'd already had similar songs by David Lindgren and Anton Ewald over the past two weeks, thus placing him at a disadvantage. "Alibi" was however my favourite of these three songs. But then, I'M BIASED!! L: This is Eddie Razaz, who I've been going on about for years. One of the earliest acts announced for this year's contest by virtue of winning a songwriters contest last year, my interest in this artist and song increased over the past week with the news that Salem Al Fakir had produced the song. Unfortunately, for me, it lacked the magic that I'd expected from anything which Salem was involved in. The high point (literally) of this otherwise rather dull acoustic ballad was her standing on a raised platform. 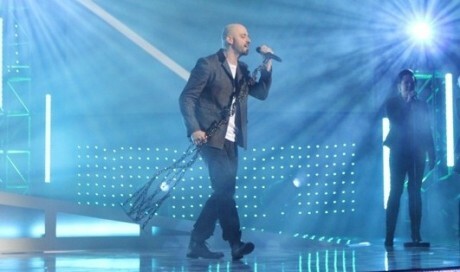 M: There are too many songs in this contest this year with no distinctive melody or direction. "En Riktig Javla Schlager" - Ravaillacz. Now to this week's joke entry, from one of the world's oldest boybands. Sweden's male answer to the Russian grannies. I explain to mum who Tommy Korberg is. He's surprisingly still in good voice. M: Strangely enough I like it. It's like something out of 70s Eurovision. L: One for the oldie vote. For people who like dansband. 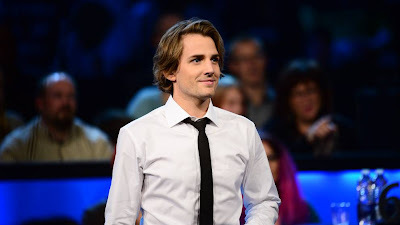 Before this week's show this was one of the strongest favourites: after all, the Idol-winning connection must count for something, right? M: What's that on her fingers? L: Looks like hair sectioning clips. M: I can't understand it, I don't know Swedish. L: But she's singing it in English! M: She's quite good but I don't really like the song. L: The mirrors are a good effect. So anyway Amanda does her incomprehensible thing rather well, although I always get the feeling when watching her that I'd rather be watching Amanda Jenssen instead. "In And Out Of Love" - Martin Rolinski. Mum is now disturbingly singing the praises of Ravaillacz. But I tell her that the best is yet to come: it's Martin Rolinski time. Mum has managed to escape the joys of BWO over the years so I briefly fill her in before Martin makes his way out of the glass box. L: Oh yes, so it does, now that you mention it. M: And he's very pleasant to look at. L: Very pleasant indeed. And even though Modern Talking have called to say they want their song back, I don't particularly mind because a) I'm a Modern Talking fan, and b) this at least has a bit of a tune. M: This is my favourite tonight. L: Mine too. Like like like! "Hon Har Inte" - Caroline af Ugglas. She takes to the catwalk to "Sweet Caroline" but there's nothing particularly sweet about this (IMHO) rather tiresome song. M: Is she wrapped in bandages? Mummified? Your song should sell you, not your gestures. Don't like this song. L: There isn't a song here. She'll probably qualify on reputation only. "Falling" - State of Drama. 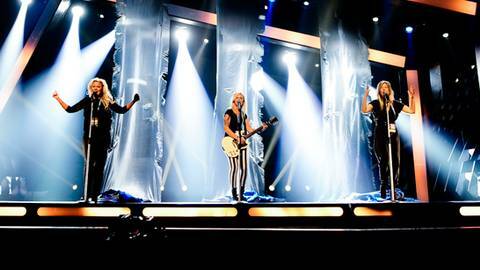 Never thought I'd hear Muse in Melodifestivalen, but that's this band's catwalk soundtrack. They're a new name to me, but this pop-rock song will be a good launchpad for their career. L: It's good to see a band in this. There are too many solo artists now. It sounds a wee bit like Feeder or Nickelback. Nickelback are very popular in Sweden so I could see this doing very well. I'd listen to this song after the contest. M: Yes I like this. Nice change from everything else. She walks the walk to "Gangsta's Paradise". M: "Gangsta's Paradise"! One of my faves. L: Mine too! The 90s doesn't get the respect it deserves. Oh look who it is, bloody Kempe again!!! M: I don't like this, and I don't like female singers. L: It was tipped to get to the final but I'm not sure now. Slightly ropey vocals. It's a tough week and I'm not even going to predict who is going to what. We then spend the rest of the song discussing how she fit into that catsuit. All eight songs done, we both agree that this has been the best heat of the three so far. Back to Rome again for that joke which is really a bit too laboured now. Of course the jury spokesman, Ivan Bacchi, ends up giving '13 points' and all's well that ends well. The 5 acts going to the next round of voting: State of Drama, Caroline af Ugglas, Martin Rolinski, Ravaillacs and Janet Leon. Which means, inexplicably, that there is no place for Eddie Razaz, who just misses out in 6th place. Another shock non-qualifier is Amanda Fondell, in 7th place, and it's no real surprise that Elin Petersson is in 8th place. The interval act is a Rat Pack-styled song and dance number: this week Gina sings and Danny dances. L: Yes I think Danny's been a bit overshadowed and sidelined. The comedy sketch this week features joke dansband "Bizex". During which I try to explain the concept of dansband to mum. Again. I have to explain it to her almost every week. First act to the final: State of Drama! We are both quite happy about this, and I think they will get a big hit song out of this. I can just hear "Falling" on repeat on Rix FM. To Andra Chansen: Martin Rolinski and Caroline af Ugglas. Of course AC is quite a tough format (are they still having the duels this year?) But we're both very happy for Martin. So who would be this week's other finalist? I had made up my mind that it would be Janet Leon, bearing in mind her draw position and being so highly rated by critics and fans. However you can't be sure of anything - remember "We're Still Kids" - so I wasn't that surprised when "En Riktig...." was read out. Much chuckling at EuropeCrazy HQ, as I headed off to load up on potato wedges in preparation for a long night ahead, including a bit of the Latvian final and the big conclusion of Sanremo. 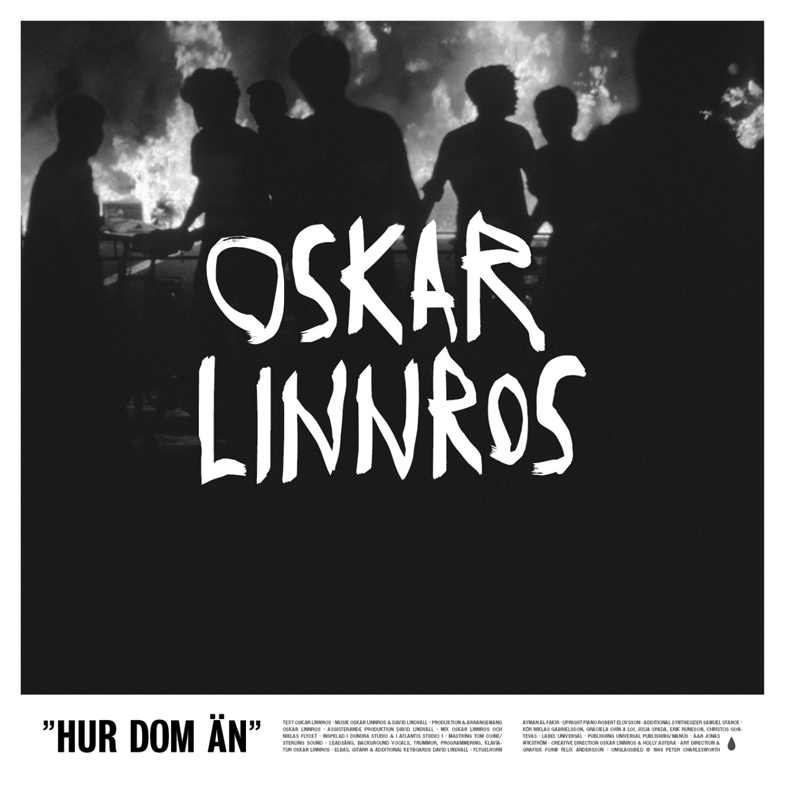 The return of Oskar Linnros! He's one of my favourite Swedish artists of recent years....and he's back! This year's Icelandic national final took place on 02.02.13, on yet another of those 'Super Saturdays' where it jostled for laptop time with heat 1 of Melodifestivalen, heat 3 of MGP and the final in Malta. The qualifying process was quick and painless - only two semi-finals - and the qualifiers were joined by one wild card entry which failed to qualify from those semi-finals. 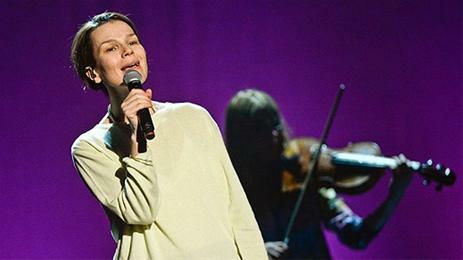 The two-hour final was preceded by a preview-show, and the contest was opened by one half of last year's Söngvakeppnin-winning duo. Sadly it wasn't Jónsi, but rather Gréta Salóme showcasing some new material. "Lífið Snýst" next, sung by Svavar Knútur Kristinsson and Hreindís Ylva Garðarsdóttir Hólm, was a pleasant, old fashioned ditty with a whiff of Sjonni's Friends about it. 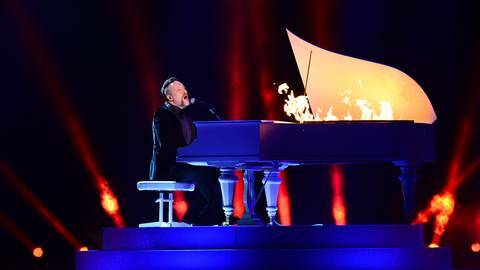 At least it had a tune, unlike most of the songs in every national final this year! The presence of Örlygur Smári's name in any Icelandic songwriting line-up is usually a cause for celebration and this year it was no different, however you'll have to look elsewhere for a "This Is My Life"-type stomper, because "Ég á líf" was an anthemic, theatrical ballad sung by a hairy bloke named Eyþór Ingi Gunnlaugsson which, on the night, had 'winner' written all over it - and I'm not just saying that with the benefit of hindsight. I was quite excited to hear that Birgitta Haukdal was back in Songvakeppnin this year, After all, she is pretty fab, I loved her in ESC 10 years ago and she even had a guest spot in Næturvaktin! Unfortunately, "Meðal Andanna" didn't float my boat. It was as if the multi-national line-up of songwriters (including Birgitta herself) had tried too hard to write a 'Eurovision song'. She still has a lovely voice and I'd love to see her back again with a better song. Next up,Jogvan Hansen and Stefanía Svavarsdóttir. Yet another male-female duo, both of whom gave a strong vocal performance of Til þín. I was trying to think of how to describe it: think "In A Moment Like This" on steroids and you get the idea. 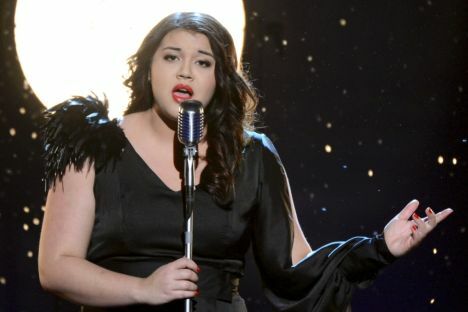 Again, like Birgitta's song, the end result was a little too old-Eurovision-which-they-don't-do-any-more. There's been a bit of an upsurge in easy-going acoustic songs of late. Here's another one: "Vinátta" written and sung by Haraldur Reynisson. Quite a pleasant song, with simple staging - he's sat on a stool, flanked by two female backing singers also sitting on stools. Although it's one of those songs which drifts past and doesn't make much of an impact. Unnur Eggertsdóttir was next on stage with "Ég Syng! ", a chirpy, lightweight and fun mid-tempo pop number. Unnur looked a little bit like Kylie Minogue, I thought. Songs out of the way and it was time for the interval act, which simultaneously managed to combine some of Iceland's best-loved ESC participants - Euroband and Selma - with a random selection of Eurovision winners - Making Your Mind Up, Ein Bisschen Frieden and Euphoria. (And, for some reason, Gente di Mare, which kinda qualifies as it should have won!) I didn't really see the point in the two guys in the dinner suits, a kind of Icelandic Ant and Dec, who seemed to get a bit too much screen time. Just get on with the results! Superfinal time. Where it was all about.....the eggs. Yes, it was Egg a Leaf versus Egg Sing in the superfinal. And that's no yolk! 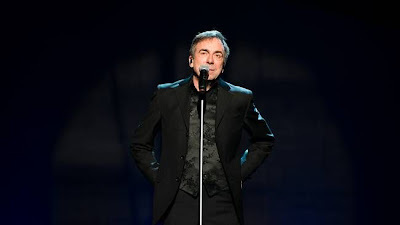 Dressed in a black shirt and white jacket, Eyþór once again gave a very strong and dependable performance of his song. You get the feeling that your song would be in good hands with this guy. 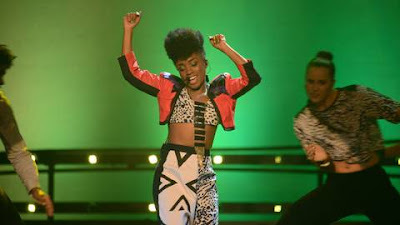 Unlike Unnur, whose vocals didn't match up with her enthusiasm and exuberant performance of her song. (A bit like Adelen in this year's MGP). Whilst we waited for the final votes to be counted we were treated to an interview with Hera Bjork and yet another one of the numerous ad breaks. Actually, that's one of the reasons I love watching national finals, just to see all those foreign ads. It's the same when I go on holiday abroad - I love the ad breaks! Dear Iceland, please do NOT translate this song into English for Eurovision. KEEP IT IN ICELANDIC! It could "do a Kuula" if you keep it in Icelandic. So many songs really have been 'lost in translation' over the years since the introduction of free language. I think this song has a strong chance of doing well in Malmö - a simple, memorable song sung by a good singer with a strong voice and good stage presence. Good luck Eyþór! We're going on a Mediterranean cruise in May!! It's something completely different for us city-breaking and occasional package-holidaying landlubbers, and I'm totally buzzing with excitement!! Happy birthday faithful travelling companion! 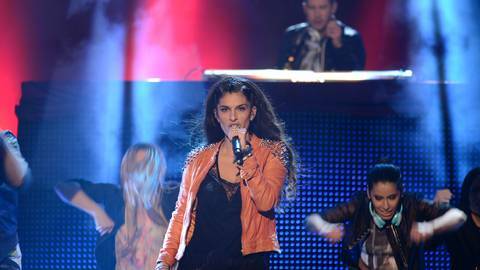 After what was, quite frankly, a disappointing start to this year's Melodifestivalen festivities, it was destination Gothenburg for the second heat of this year's contest. Mum: "I know that tune". L: "It won Melodifestivalen 2 years ago. Eric Saade." Mum: "Yes I've heard that name". This week Gina is dressed in a little leather ensemble with Danny in leather trousers to match. They seem better this week but I'm still not 100% convinced by their presenting partnership. Anyway, on with the show! First song tonight is "Begging" sung by Anton Ewald who seems like a computer-generated bybrid of Justin Bieber meets Zayn from One Direction, programmed with this week's generic Saade-Lindgren-Saucedo song. He certainly gives a lively performance but we have to ask, how much of it is really 'live' and how much is Memorex? The lack of 'live' feel actually ruins the song for me although I get the feeling that he's done enough to qualify to something or other. I give mum a brief resume about who Joacim Cans is, but having heard "Annelie" I really can't understand the change of musical direction This is one of those songs you keep waiting for to start and it never really gets going. The song is as unimpressive as this year's 'minimalist' stage set. Then, to cement his new-folkie credentials, there's a key-fiddle middle eight. Like, wow. So far, so 'meh' this week. I explain to mum that the next act Swedish House Wives is a play on words although this falls flat as she hasn't heard of the Swedish House Mafia. Anyway I spend most of the song wondering why Jenny Silver has replaced her lovely red hair :( "On Top Of The World" has all the ingredients for the schlager-fans to go into raptures: mike stands, glitter, wind machines, strutting and a bit of a Lady Gaga-vibe. However, there was something missing: maybe the song just wasn't good enough. Mum: "This is very Eurovision Song Contest.....very old-fashioned". The Swedish-Norwegian team of Erik Segerstedt & Tone Damli are up next. L: "It's OK but should have been better." Just as with Eric Gadd last week, we now have another artist who doesn't really need to prove anything at Melodifestivalen. Louise Hoffsten is a long-established singer in Sweden who this time has teamed up with 'team Running Scared' on a pleasant little country-blues number. 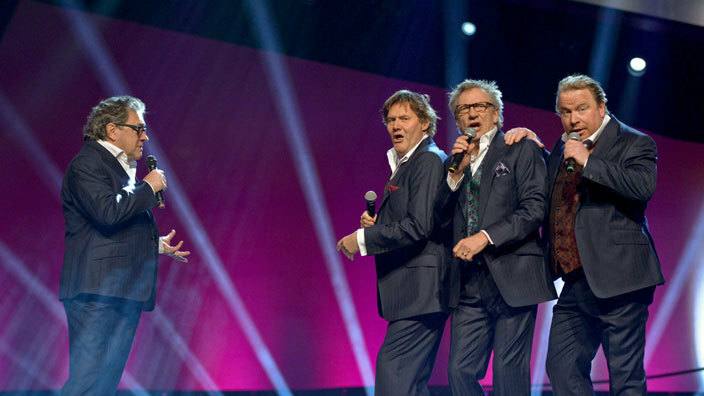 However it's OK rather than great, and I find myself asking..."when is Melodifestivalen going to come good in 2013?" Not with the next song that's for sure. Rikard Wolff is next on stage with the rather dreary ballad "En förlorad sommar". What's with this trend of non-singing actors turning up at Melodifestivalen, taking up a spot which could have probably been occupied by a more decent song? Mum: "This is hellish. I'm not watching this programme again!" L: "But Eddie Razaz is on next week....!" Is this what Melodifestivalen's come to? An annual appearance by Swedish 'comedian' Sean Banan? Whom my mum has decided to call Sean Banana. Before the 'song' "Copacabanana", he does not take to the catwalk but has a butler taking his baseball cap down the catwalk instead. A typical over-the-top performance follows. Mum: "I thought all that had gone out 30 years ago". L: "He's big in Sweden, although I can't understand why. This is three minutes too long". So that's it for this week's songs. Maybe I'm just in a grumpy mood but I'm still not feeling the Melodifestivalen vibe this year. I go into a rant about how every time Sweden wins Eurovision they don't really bother the following year....it looks like being another one of those years unless week 3 or 4 can rescue the 2013 contest from the slump. In the meantime, Hanson, Carson & Malmkvist are back with "C'est La Vie". Mum then goes into a rant about how the Eurovision Song Contest is "FINISHED!!" Vi har ett resultat time....Banan, Anton, Louise, Erik & Tone and Felicia to the next round of voting. SHW come 6th (is schlager now officially dead? ), Wolff 7th and Cans 8th this week. Next up, this week's long-awaited interval act which is a Bollywood-version of Danny's "In The Club" now retitled "Indie Club". I didn't really get into this but I'm probably putting it down to my grumpy mood. The other interval act song this week, "Ordinary Family" by Swedish House Family wasn't as good as last week's ukeleles from hell but it had its moments. Results time again. As predicted, Banan to the final. 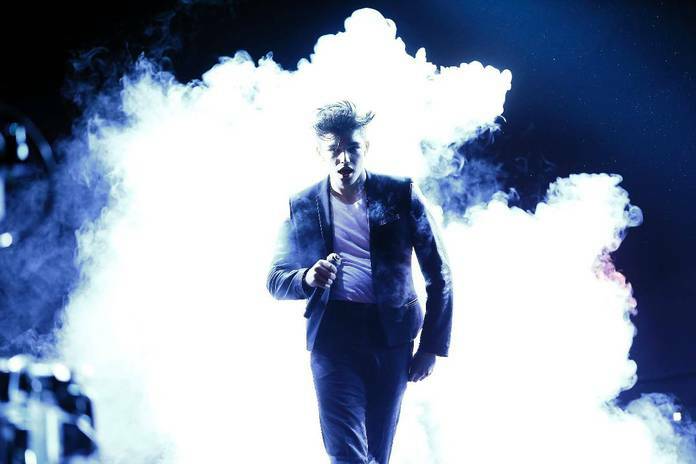 Anton Ewald and Erik/Tone to Andra Chansen. Who's getting that other final place? Louise Hoffsten and her fish. 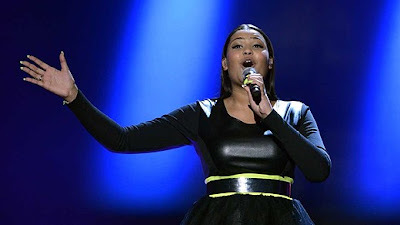 Based on her performance tonight we wanted Felicia to qualify to something or other, but she misses out. Two weeks into Melodifestivalen season and I still have an overwhelming feeling of disappointment. Next week: the long-awaited 3rd heat which could be quite a tough one: my favourites Eddie Razaz and Martin Rolinski will be performing but in a heat which includes the debut of the hotly tipped Janet Leon and former Swedish Idol winner Amanda Fondell, and the return of Caroline af Ugglas, it's not going to be easy. As mentioned in the previous post, I watched this in retrospect as I was otherwise engaged with a certain Swedish contest. A quick recap: it's been a shockingly underwhelming year so far for MGP: very little has impressed me in the previous heats. Heat 3 wasn't much better to be honest, however there was a slight improvement in the general standard of the songs. The everlasting search for Utooooopia! Forever till the end of time! Well, not quite, but believe it or not, this little Rammstein-lite number, "Utopia" might turn out to be one of my favourite national finals songs this year. 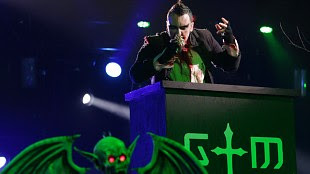 Gothminister looked as if they've been rifling through the remnants of Marilyn Manson's make-up box, whilst the lead singer just looked as he's demolished a strawberry jam sandwich. What a messy eater! Unfortunately I never saw this going to the final as Gromth seem to have sewn up the metal ticket this year. 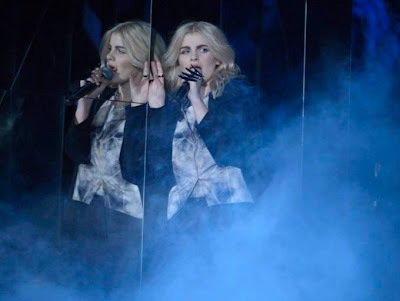 Adelén is very young and very pretty, and I wouldn't be too surprised if the Ina Wroldsen co-write "Bombo" ends up representing Norway this year. If Bombo was a stick of rock it would have "holiday hit" all the way through it - bubblegum pop mixed with Latin phrases and rhythms - but her enthusiasm outweighs her vocal ability and I would have my doubts about how well she could deliver the song on the big night in May. But for everything else there's backing singers, and none of that stuff did "La La Love" any harm, did it? The most notable thing about country/bluegrass band Lucky Lips is the lead singer's pink hair. That's all really, as the banjo-plucking "Sweet and Heavy" was irritating beyond belief. Texas Lightning they most definitely ain't. But the judges responsible for choosing the wildcard for Oslo obviously saw something in it which I didn't. My first thought when I heard Gaute Ormåsen singing "Awake" - Gaute singing in English? What's happened to all the Norwegian-ness? 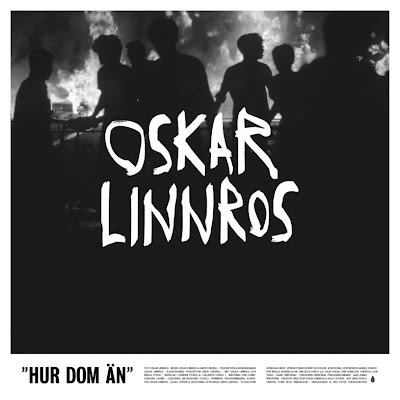 This started off sounding like a filler album track by an anonymous boyband, then it hit the chorus and suddenly it started to soar in the classic tradition of Norwegian pop. A little Donkeyboy-esque. Actually I wish Donkeyboy would enter MGP and win it and then I would be very happy indeed. This isn't a winner, but it will be one of the (very few songs) which will last beyond national finals season for me this year. "We are the young" sang Anina on the 5th song of the evening, "The Young". As opposed to Fun singing "We Are Young" which is much better than this. Unoriginal anthemic bubblegum Avril Lavigne, all rock-chick posing and no substance, and vocally, a mess. Would "Not Afraid" be any better? Winta certainly sold the song well but there was nothing special about it. Yet another generic Guetta-styled hands-in-the-air chorus which seems to be everywhere this year and which even the song contests haven't escaped. Finally, Sirkus Eliassen, who would appear to be a Norwegian variant of LMFAO. 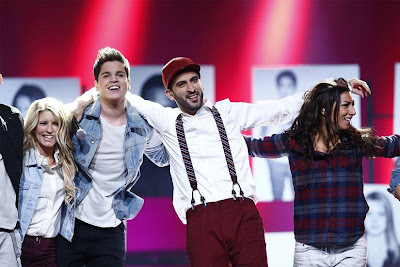 Silly rap nonsense songs historically haven't gone down well at ESC so I couldn't see Norway choosing "I Love You Te Quiero" as the MGP winner. It was rather entertaining though. First Bombo and now this combination of holiday hit chorus and Norsk rapping - is it July already? Have we wandered into holiday season by mistake? Fast-forward to the results: it's Adelén, Gaute and Sirkus Eliassen who go on to the final, with Lucky Lips getting the wild card. If winners are judged by the iTunes download chart there is already one clear winner, "Bombo". Yes, it's a catchy song, but I'm still unconvinced if it would do so well at Eurovision as so many countries send similar entries. My favourite song of the final line-up is Datarock's "The Underground" however it's not going to win. Margaret Berger is in with a very good chance and if she wins MGP, she would probably the closest we would ever get to Robyn appearing in Eurovision! Even though it's been a few disappointing weeks, I always love the final of MGP and I'm sure they'll put on a fabulous show as ever. Which I will hopefully get round to reviewing soon! Euphoria! Melodifestivalen season is with us again. It was the first of the Super Saturdays of course, and I had made the decision to skip watching the 3rd MGP heat in Norway and the beginning of the Icelandic final, in favour of the Swedish spectacular. Yet as with many things in life, the looking forward to is better than the event. So it was this week, with a disappointing start to the six-week saga. Karlskrona was the venue this week and the show kicked off with a recap of 2012, the VT of Melodifestivalen giving way to clips from Baku and of course the eventual ESC winner, Loreen. So how do you follow that? With a spoof version of "Euphoria" performed by this year's hosts Gina Dirawi and Danny Saucedo (complete with his 'Amazing' outfit) of course. As this week's artists were announced, there was a more muted reception than usual and not for the first time, I thought the audience seemed a little bored. (As it turned out, they wouldn't be the only ones). But let's get on with the show! What a difference a year makes. Last year David Lindgren was an unknown newcomer, but in February 2013 he returned as one of the strongest favourites. I liked "Shout It Out" and still do, it went on to become a massive radio hit in Sweden and I was looking forward to hearing what he would do next. Yet for me "Skyline" disappointed on so many levels - you don't expect complete originality in this contest but this song is such a carbon copy of "Amazing", right down to the dubstep breakdown, to the point where the similarity is quite disturbing! No doubt someone will do a YouTube mash-up of these songs at some point, if they haven't already done so. And then there was the choreography, which was irritating beyond belief. I liked Tooji's twirly-hand-movement last year but this has gone too far. Once again I had connected my laptop to the TV so that I could enjoy Melfest on the big screen. As usual, mum was watching with me although she does not have an all-year-round interest in ESC-related matters so I had to remind her what Melodifestivalen was all about. She did remember "Euphoria" though. She immediately declared "Skyline" to be too repetitive. "Burning Flags" - Cookies N Beans. Aha, the first (and probably not the last) sighting of Lord Smug of Smugsville, a.k.a. Mr Kempe. Which immediately sparks a rant from me about the same songwriters getting so many songs into the contest every year. I'm not really a fan of this trio although I have to say that bits of the song were rather good, other bits of it weren't. The song seemed to be channeling Belinda Carlisle at times. There was some schlager-stomping choreography though. Mum: "They look quite alike. Are they sisters?" Me: "No". Gina has changed out of her Loreen costume into a beige dress. She wore beige last year too. I hate beige. His name sounds vaguely familiar to me although I don't know any of his music. I didn't really know why he was doing Melodifestivalen either, unless it's to boost album sales or something. By this point in the evening mum had abandoned the TV and started reading. She looked up from her magazine and said "this is boring and tedious. He looks pretty tedious too". I can't really remember much about this song apart from "when I walk the streets of Paris" and then him reeling off a load of place names. It did go on too long, and the applause in the hall was even more muted than it had been previously. Something a bit more lively now, although it was the horrendous styling-och-consulting-from-hell which had us chatting all the way through the song. Her walk-on music was "You Can Call Me Al" and I'd rather have listened to that than this song which was basically just gosa gosa gosa gosa gosa gosa gosa gosa gosa gosa gosa gosa gosa gosa What's it called again? I liked her though, but she deserved a better song. "Vi Kommer Aldrig Att Forlöra" - Eric Gadd. Now to my favourite of the evening, with the best walk-on song of the evening - Phoenix's brilliant "Everything Is Everything". I've been an Eric fan for a while so was glad to see him do the contest at last. I'm guessing that he's not doing it for the same reasons as some of the other acts, as being such an established artist he has nothing to prove. It was funny to hear him sing most of the song in the lower register as we're so used to that familiar falsetto, although this later made an appearance. 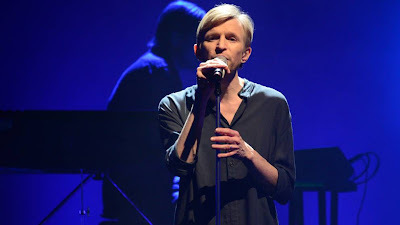 "Vi Kommer Aldrig Att Forlöra" was a change from his usual style, a little more pop-rock rather than soul, with traces of Oskar Linnros and Salem Al Fakir in the musical arrangement. So of course I like it! Mum: "Who's that old guy?" Mum: "There are some strange people in this tonight". Me: "You think he looks strange, wait till you see what's coming next!" Missing the Poodles? Or H.E.A.T.? If you like that style of music (which I do) then this one's for you. 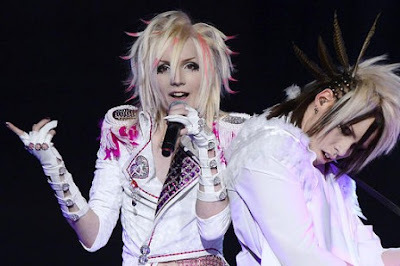 Although Yohio, it would be fair to say, is not like the other boys. Dressed in what looked like one of Ola Salo's cast-offs, this androgynous teenager with the fabulous hairdo defies description. He's relatively unknown in Sweden, but 'big in Japan' yet after this week everyone will know his name. 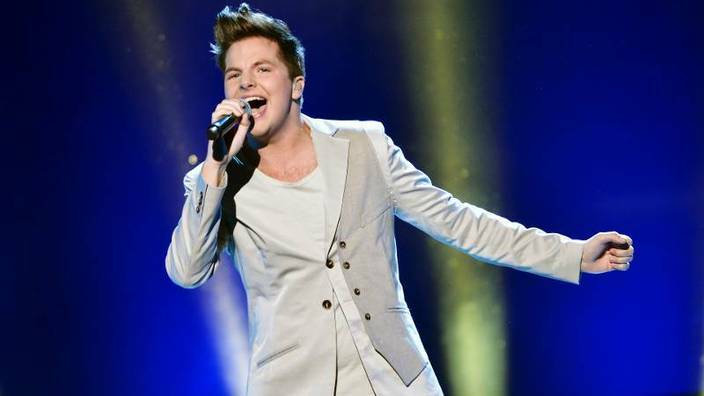 It's one of the strongest debuts by an unknown artist in Melodifestivalen in recent years: he sang and performed the song well. And "Heartbreak Hotel" is written by the Fransson/Larsson etc songwriting team who have written some goodies in the past. Mum: "He looks like a young Lady Gaga". Mum: "I like this. Best song so far. Although they shouldn't steal other people's song titles!" From glam-pop overload to something more sensitive. 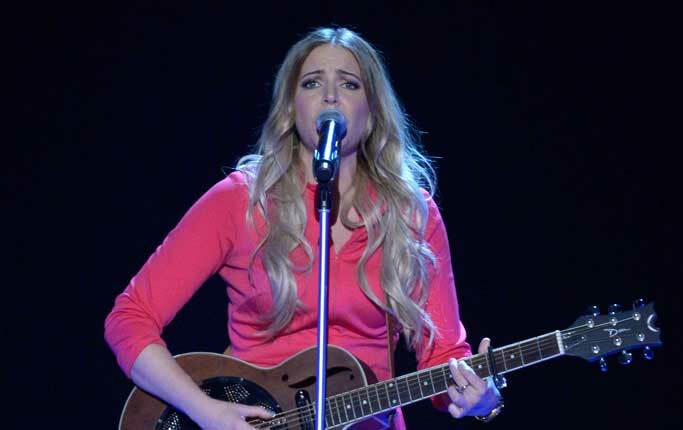 Anna is one of the more unlikely artists to enter Melodifestivalen. She's more P3 than Rix FM, you might say. The Swedish media critics were full of praise for this song after rehearsals, and suggested it could do a Marie Lindberg/Caroline Af Ugglas/Sara Varga-type of result. Mum immediately liked this and thought it was a nice break from all that had gone before, although she didn't like the chorus. It was delightfully fragile, and for a Melodifestivalen song the lyrics are pretty stunning. "We're Still Kids" - Michael Feiner & Caisa. Michael's the sax-playing eye candy on the DJ decks, Caisa is the vocally underwhelming frontwoman. (By the way, did any of you Melodifestival-loving River City fans out there spot the likeness between Caisa and recent cast member Alice, or is it just me?). Her vocals let the song down, and maybe another singer may have done it justice. The sax bits were good though, although more 80s-style than Mr Saxobeat. One more thing though: Swedish House Mafia called, asking if they could have their backing track back. Songs out of the way, it was on to the voting....and let the technical problems begin! A blank voting screen was flashed up during the reprise, meaning part of the reprise had to be, um, reprised. That wouldn't be the last technical hitch of the night though. At this point, my thoughts on the presenters: well, on the evidence of this week I wasn't too impressed. I didn't feel much chemistry between Danny and Gina: Danny seemed a little bit tense at times, whilst Gina is very good but to non-native Swedish speakers her deadpan style could sometimes be mistaken for indifference. It's early days but I get the feeling that Danny's not so comfortable as a presenter. His strengths lie in his 'day job' of singing and dancing, and we soon got to see him do what he does best, in the interval act, performing "Karl För Sin Kostym" with the help of special guests Kristian Luuk and Lena Philipsson. By the way, how fabulous did Lena look in that lace catsuit? That outfit just screamed "never mind the divorce, I'm back baby!" And then, of course, there was Danny's chest :)) All in all, a very entertaining interval act!! Sverige...vi har ett resultat. Of the 8 songs performed, five would go on to a further round of voting: Eric, Cookies N Beans, Mary, David and Yohio. Of course we all knew it would be Yohio, because the result was on screen for all of us to see long before it was even announced. Yet another technical hitch from SVT - sort it out! 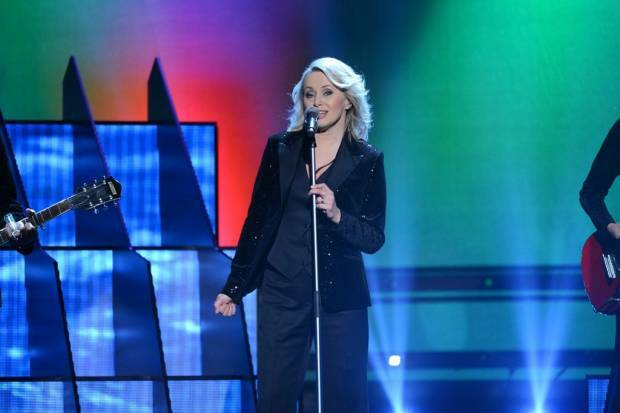 Big shock for the schlager-fans who had expected Michael & Caisa to progress, but they went home in 6th place. This was also probably a shocker for SVT as given the draw position for the song, I guess they expected an automatic qualification. Despite the critical acclaim, Anna (7th) failed to make the cut whilst Jay-Jay was 8th as expected. But there was still one more interval act to go before the final results were revealed. A comedy sketch featuring "Ukeleles From Hell" sung by Megahell. Could they be this year's 'Tingaliin"? Mum: "This is quite funny". Me: "Can I vote for this?" But back to the results. 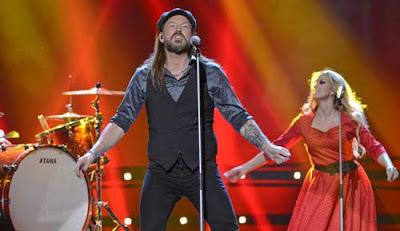 No surprise that David and his waistcoat and OTT choreography are direkt till Friends Arena (missing Globen already). Cookies N Beans and Eric Gadd qualify to Andra Chansen, and to nobody's surprise by this point in the evening that it's Yohio who joins David in the final. He certainly got the most applause and I wouldn't be surprised if he actually won this heat. Next Saturday, heat 2 will take place in Gothenburg, a place which holds many many happy musical memories for me over recent years :)))) Whether we will get some new ones is up to Anton Ewald, Felicia Olsson, Joacim Cans, Swedish House Wives, Erik Segerstedt & Tone Damli, Louise Hoffsten, Rikard Wolff, and Sean Banan. Although with Banal, I mean Banan, in the line-up, I very much doubt it! !